When borrowing money, few people consider that they’re paying more in the long run. Almost all forms of borrowing have interest attached. It’s this interest which gets people into heavy debt. Thinking long-term and considering interest rates will make life a lot easier in the future. Here are some ways that you can borrow for less. There are lots of low interest loans and credit cards out there, but these are usually only available to people that have a good credit rating. Your credit score is your license to spend and is affected by how well you pay creditors on time and by the amount of debts you have. If you’re already in a lot of debt and keep missing payments, it’s likely you’re credit score will be low, preventing you from getting good interest deals. A bad credit score isn’t the end of the world. There are guides online that can tell you how to repair credit on your own. Your bank may also have a credit-building option such as a credit-builder loan. Don’t settle for dodgy high interest emergency loans just because your score is bad. You’ll find many loan comparison sites that are great for comparing interest rates. Don’t just go with the first lender you find. 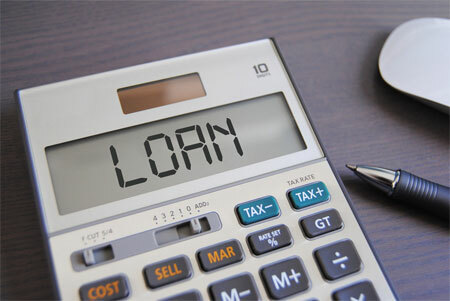 For big loans such as mortgages and hefty business loans, you may be able to find a broker who can help you shop around. Brokers may also have special relationships with certain lenders that open you up to great interest deals. The downside is that you may have to pay to use these brokers. Lenders can be very sneaky when it comes to putting hidden snags in the small print. A credit card which is advertised as zero interest may only guarantee this for a certain amount of time and only if you pay a certain amount of money using that card. Adjustable rate loans are also something to be wary of – this means that interest rates can fluctuate. Such lenders may lure you into an adjustable rate loan with an initially good deal, only to charge huge amounts of interest later down the line. Some lenders offer the chance to extend a loan, allowing you to pay it off in smaller installments over a longer period. Whilst this may sound appealing at the time, you could end up paying more in interest in the long run as a result. You should aim to pay off a loan as quickly as you can. Pay more than the minimum monthly payment if you can – you’ll pay less interest as a result. Many lenders will charge you extra for missing a payment. This could involve upping your interest rates or removing other privileges. Missing several payments may even trigger a debt collection agency to come round and possibly remove your belongings to make up the costs. Always make paying your debts on time a priority above everything else.